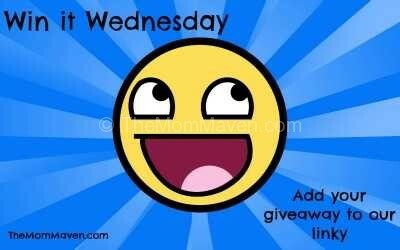 Happy Win it Wednesday Giveaway Linky Day and Happy Free Slurpee Day! Today (7/11), 7-Eleven stores are giving away free small Slurpees from 11am-7pm! My husband and kids go every year, sometimes they even visit more than one 7-Eleven during the course of the day! Rumor has it they are debuting a new, limited time Slurpee flavor today too! Would you try a Cap’n Crunch’s Crunch Berries Slurpee? I would! I may have to try it later today. 7-Eleven has been celebrating Free Slurpee Day since 2002 and they plan to give away about 9 million Slurpees today!